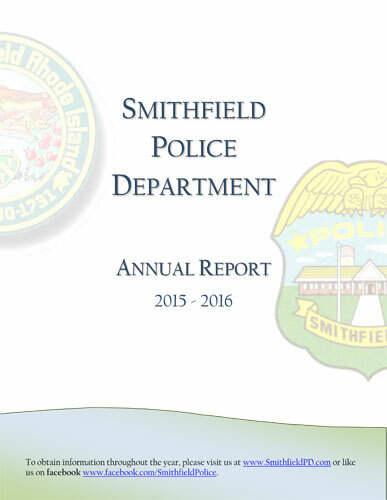 It is my distinct pleasure to submit to you, Smithfield Police Department’s Annual Report for FY 2015-2016. I am pleased with the accomplishments and progress summarized within this publication. Furthermore, I trust that you, along with Town Council members, residents, and business owners of Smithfield, will find this report to be informative and a fair representation of the dedication and commitment to service that the sworn and civilian members of the Smithfield Police Department exhibit on a daily basis. Richard P. St. Sauveur, Jr.